Change camber, caster, or both on twin traction beam Dana 44s with these sleeves. Simply remove the tire, cotter pin and upper ball joint stud nut and break the taper free between the stud and sleeve. Using a sleeve puller, remove the existing sleeve. Install zero degree sleeve 23109 to determine the change needed, then install the correct sleeve. To split camber and caster adjustment, rotate sleeve 45°. 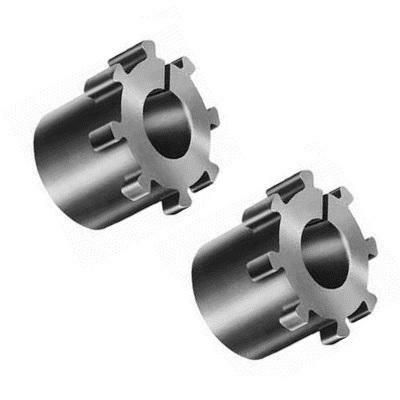 These adjustable hex shaped sleeves replace the round tie rod sleeve to assure ease of adjustment without slippage. Recommended when the existing sleeve is damaged or when replacing a tie rod end for easy adjustment.